But, the Gers need to keep on believing and for any hope of them running Celtic close depends on the Sunday’s game which is more or less a must-win for Gerrard’s men. Gerrard clearly downplayed Celtic’s home support and their home record when a journalist asked how he can get a result in ‘the Lion’s Den’. Here is how he responded. A Rangers fan was slightly sceptical as he believed there could be actual lions. Think Gerrard has been a bit hasty. What if they actually have lions? Wouldn’t put anything past those sneaky catholics. Croatian left-back Borna Barisic is out of this clash, and some Rangers fans were happy with it as Andy Halliday is the one who is going to replace him. Andy Halliday put in a massive performance when the two sides met the last time around. 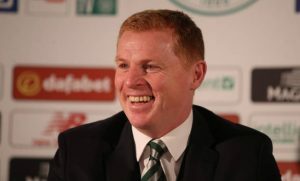 Rangers fans are again pinning their hopes on one of their own. Can definitely expect one of these crunching tackles flying in tomorrow. No doubt that Rangers will be pinning their hopes on ‘El Bufalo’ to open Celtic up. Below is a compilation of some of his best moments in a Rangers shirt. Definitely will get you in the mood for the derby. Charlie Nicholas of Sky Sports said, ”Celtic are hurting from the defeat & the way that Rangers celebrated at Ibrox surprised me…I think revenge is in the air.” This is how one Rangers fan reacted to it. Can’t blame either of the sides for celebrating jubilantly after their previous wins. A win in games of these nature is always special, and you wouldn’t want the players to just take it as a routine win by clapping for 10 seconds and going back in the dressing room. I actuslly have a good feeling about sunday. Im confident rangers will win. One of the fans wants Rangers to start with McCrorie, and we too would agree with him. The midfield three at Ibrox did a terrific job, and if possible, Gerrard should go in with the same three again. That’s the script on how Rangers should approach the game, but things don’t always follow like that on a football pitch. But that is what Rangers should aspire to do. Start off the same way they did at Ibrox by pressing them high and then look to grab a goal. 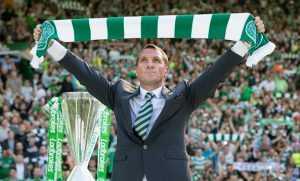 3 Defenders Celtic Gaffer Rodgers Can Target This Summer Including This Veteran Backline Beast! Sunderland Eyeing Up A Loan Move For Celtic Fullback: Good Move For Both Ross And Rodgers? 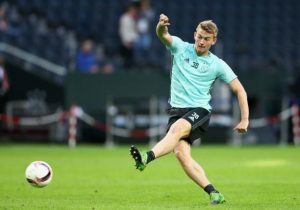 Rodgers Keen To Land This Manchester City Youngster Permanently: Will It Be A Shrewd Deal For Celtic?